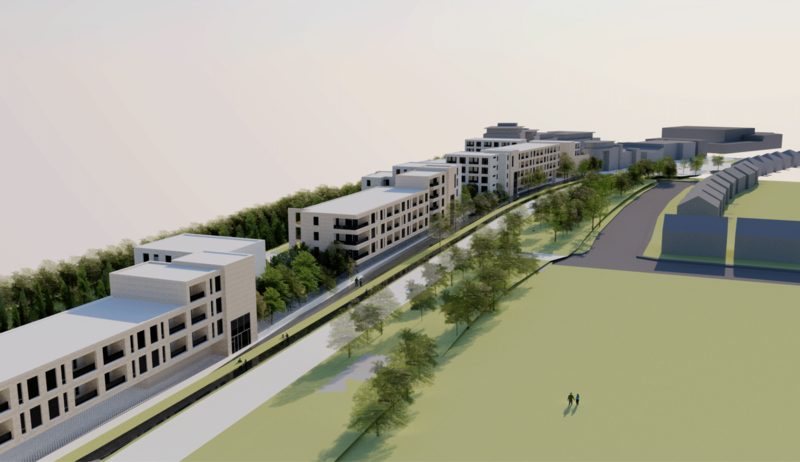 The proposed development of this linear site on the outskirts of Navan, Co. Meath proposes 5 blocks of apartments of 96 residential units, and 1000sqm of commercial development on a long, narrow wedge-shaped site. The design is a response to the opportunities and constraints provided by the site. The modulated massing and architectural expression, creates a pleasing rhythm along the length of the road-side elevations. Each block is designed in response to the environment and has its own visual identity.